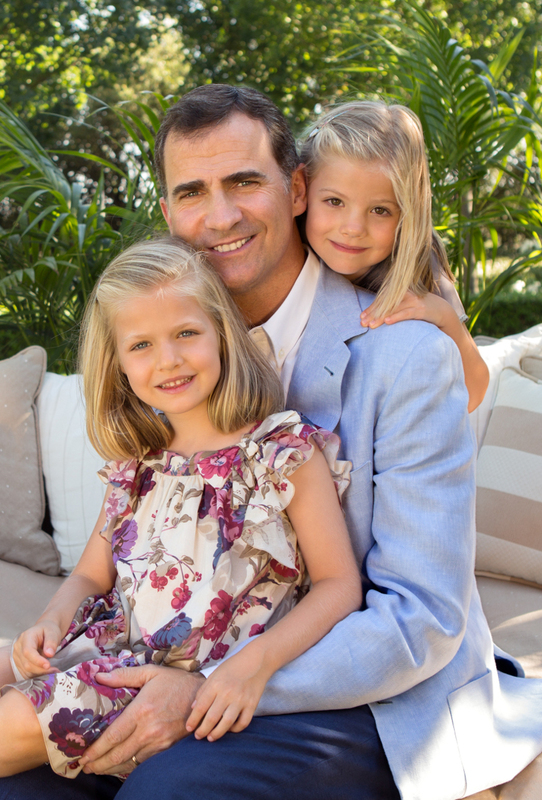 King Felipe and Queen Letizia began their first official U.S. visit as Spanish monarchs in Washington, D.C.
Their Majesties left their downtown hotel early this morning bound for George Washington’s Mount Vernon estate. 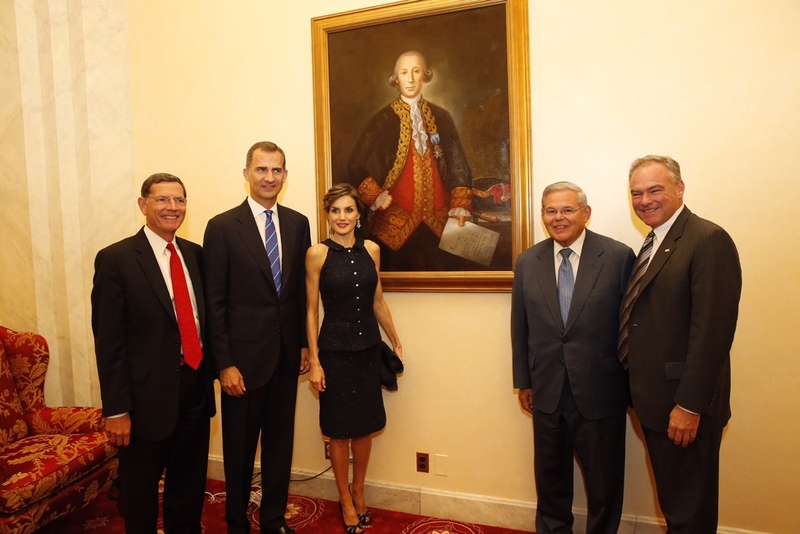 At Mount Vernon, they visited Washington’s tomb and gave curators a copy of the first American ambassador to Spain’s credentials, signed by the first president. Their Majesties then went to the White House to visit President Obama and First Lady Michelle Obama. 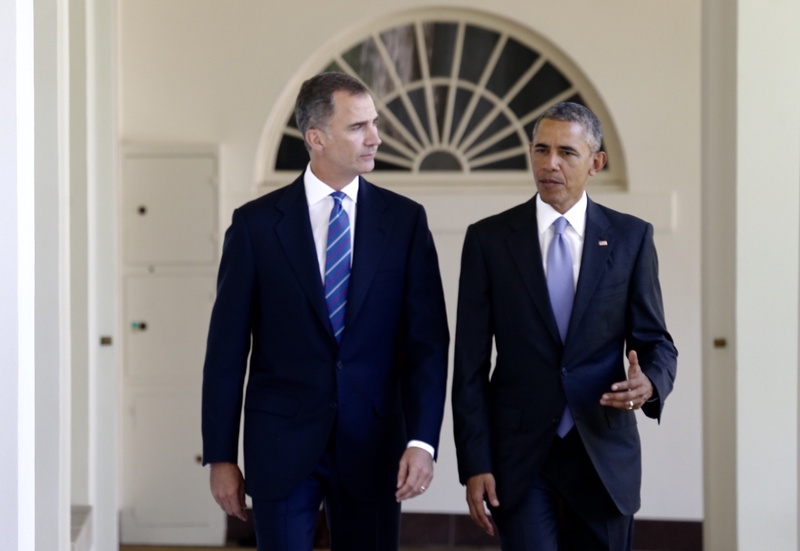 The Spanish government has long been asking President Obama to visit the country. 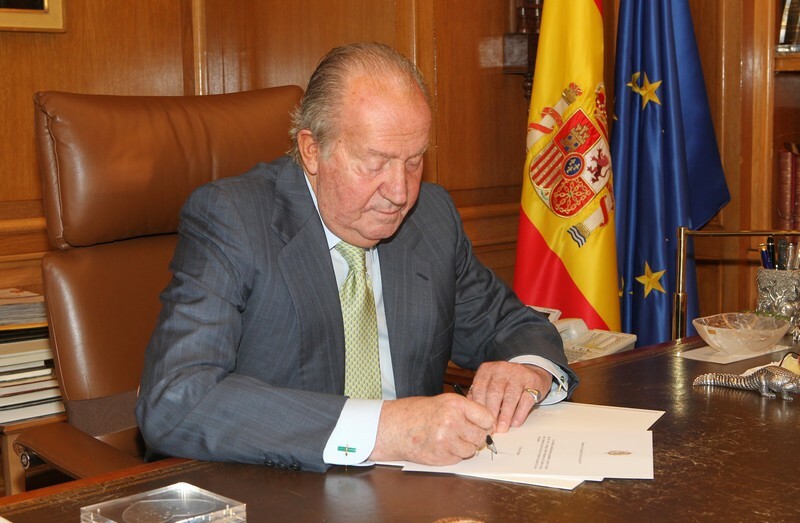 “We are deeply committed to maintaining a relationship with a strong and unified Spain,” said the president, making a veiled reference to separatist sentiments in Catalonia. 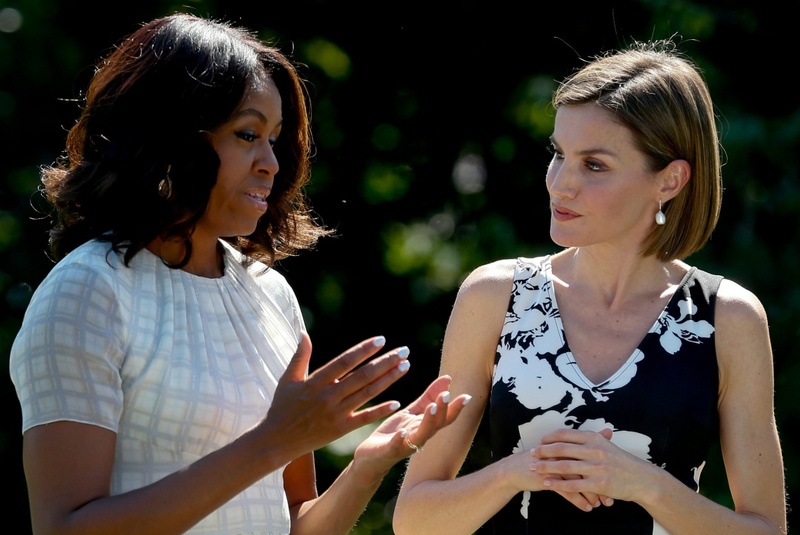 Mrs. Obama took the Queen on a tour of the White House garden. Today was The Queen’s birthday. The King and Queen then drive to Capitol Hill to meet with members of the Senate Foreign Relations Committee. Staffers there commented on the King’s height and the Queen’s beauty and impeccable outfit. 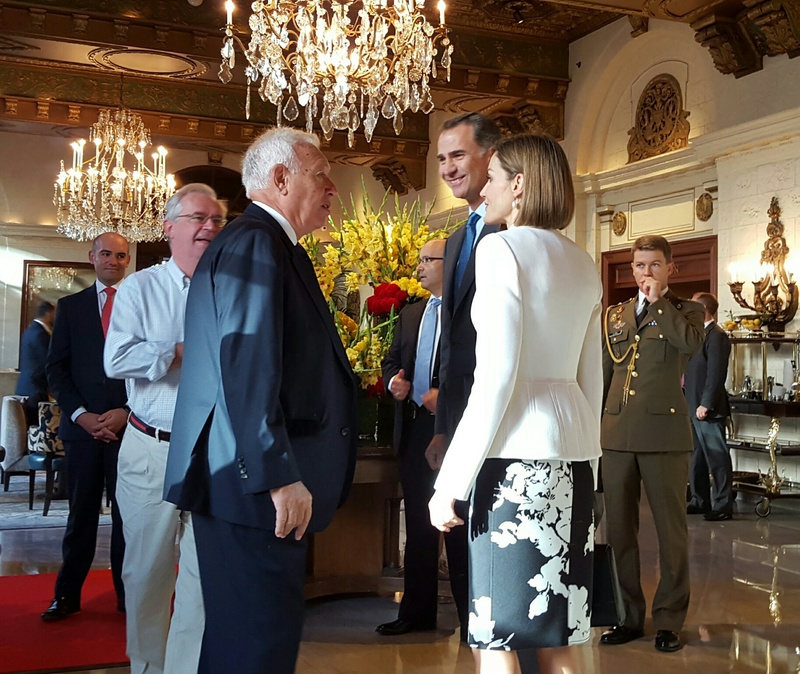 Queen Letizia had changed into an evening outfit for a reception with the Spanish community in Washington, including famed chef José Andrés. 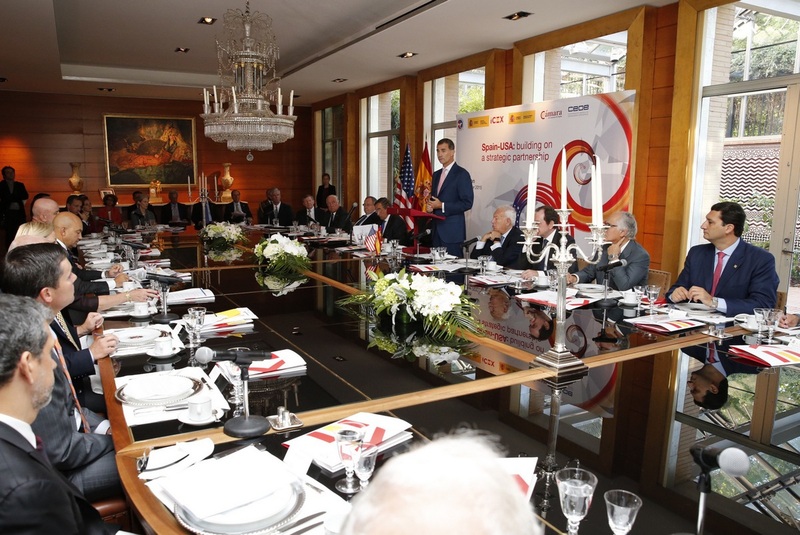 The next morning King Felipe met with U.S. business leaders at the Spanish ambassador’s residence. 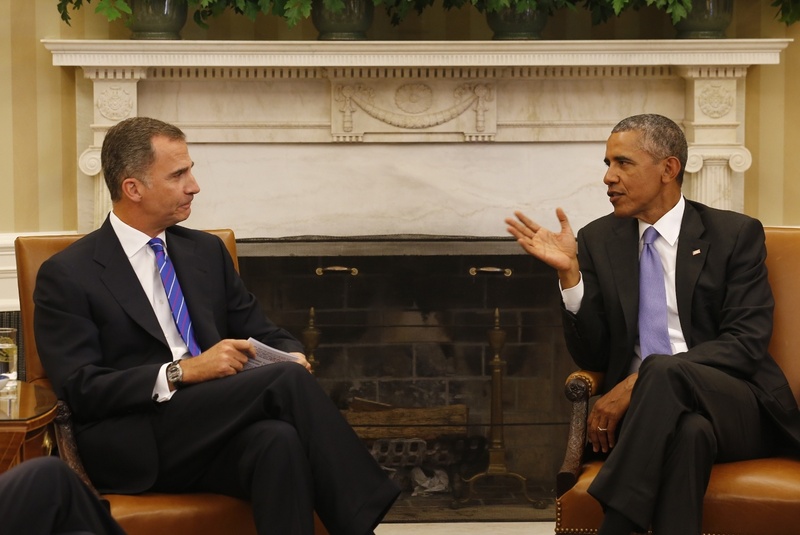 He asked them to trust Spanish stability and economic growth. 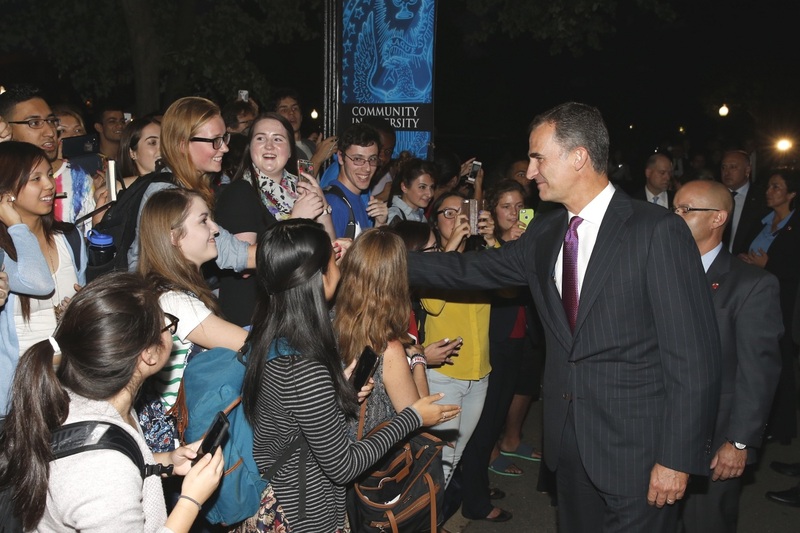 Don Felipe then spoke about transatlantic relations at the Wilson Center while Queen Letizia visited the National Institutes of Health. The Washington visit ended with a meeting at Georgetown University, Don Felipe’s alma mater, Spanish scientists, and a dinner. They King and Queen took some time to greet workers and students who were gathered on campus. 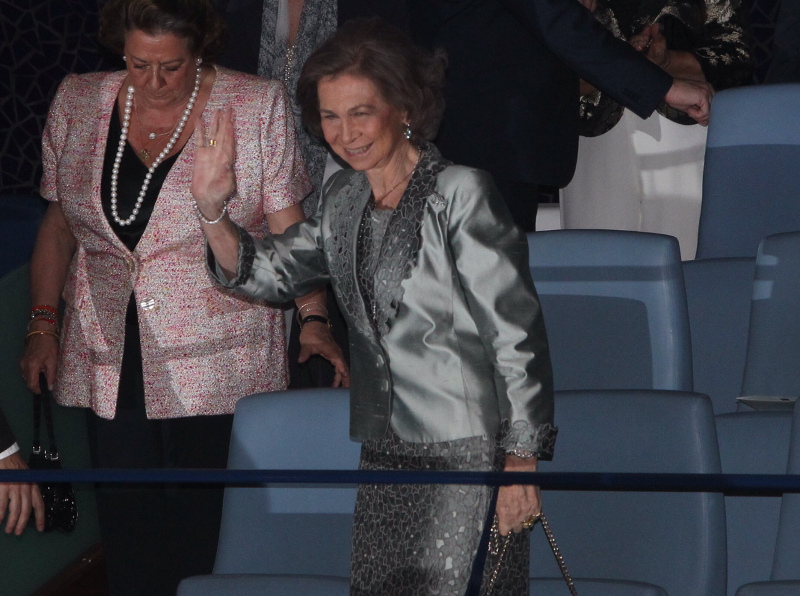 On Thursday, the royal couple flew to Miami for a conference on Spanish in the U.S., and a Spanish film festival. 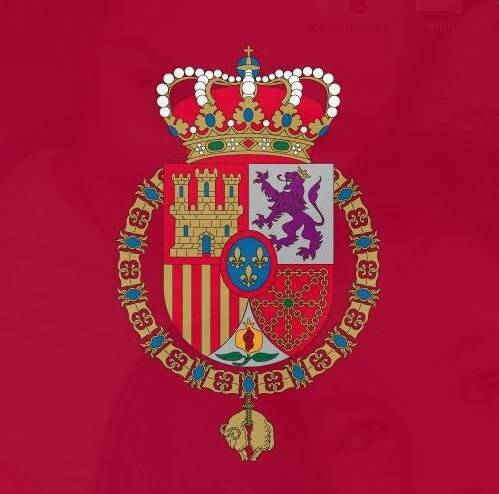 On Friday the trip ends in St. Augustine, where Their Majesties will mark the 450th anniversary of the former Spanish city. They will give Ford Motor Co. CEO the Bernardo de Gálvez award. named for a Spanish colonial leader who helped the U.S. gain independence from Britain.